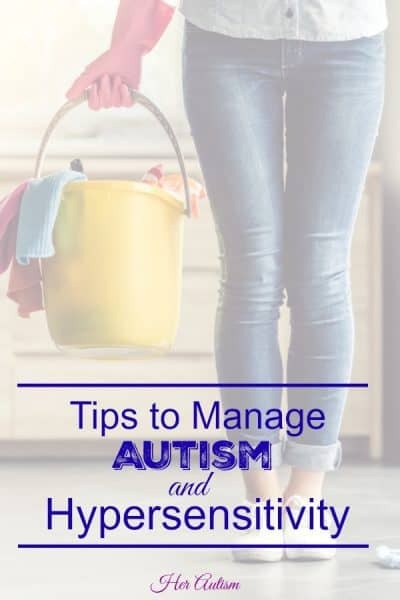 We hear a lot about the hypersensitivity of people with autism, and I wanted to actually take a minute to give you an example of just one area in which I am hypersensitive and how that hypersensitivity has played out in my life. The difficulty that this one problem has caused is, well, difficult to fathom even for me, and I live it. When people react negatively to my hypersensitivity, it actually makes it worse. In addition, their negativity makes it difficult for me to make right decisions about the next course of action. Finally, their difficulty in understanding my struggle tests even the best of my relationships at times. And there is little I can do about it. In this case, by “little” I mean to say that there is not much I can do medically/biologically. In practical terms, avoiding situations where this hypersensitivity comes into play frequently requires BIG actions. Big actions that again others do not understand. And I would point out again, this is just ONE area in which I am hypersensitive. For effect, multiply this impact out across each of the hypersensitivities of each of the members of my family and begin to see how this one issue impacts us. We have moved just way too many times over the years. All of our moves were for valid reasons, and if you asked family and friends who watched our progress, they would agree. Each and every one of these moves was made infinitely more difficult because of my mold sensitivity (I also am hypersensitive to some foods, pets, and chemicals – I am tons of fun – but for today, I am going to focus on just mold). If I walked into a house, I generally could determine immediately after crossing the threshold whether I could live in the house. I also struggle with molds in the environment, so choosing the right place to live is critical for me. More on that in a minute…. A few years ago, we found and hoped to buy an absolutely adorable home. As we walked through, however, we realized that there was an odor in the house. When I say “we,” I really mean me, as no one else could smell it. It had this same smell in three different spots. We had someone test for mold. During the test and the inspection process there were, I don’t know, six or so of us in the house, and my head just felt like it was absolutely going to explode. I was just literally in agony by the time this inspection was over. No one else smelled anything or felt anything. Here I want to pause and just say that as unbelievable as it was to everyone in the room that I was preparing for certain death as a result of the pain I was in, it was just as unbelievable to me that no one else sensed anything. I was sure that they were either making fun of me or that there must be something wrong with them. Just like some of them were sure that there was something wrong with me. That is the thing about hypersensitivity – if you have seen someone have a reaction to something which causes you no difficulty, in fact, something you do not register at all, you assume there may be something wrong with them or that they must be acting. The results of the mold test? Ha! The results showed that actually the mold level in the areas that I indicated were about seven times healthy levels of mold for a home. And no one else even registered it. Honestly, I have mixed emotions about that. I feel grateful that I sense and so can remove myself from potentially dangerous environments. I also, however, feel envious of the people whose constitutions allow them to live more freely and without so many limitations. At the time, the inspector explained to us that in the event of a hurricane, even if the house does not flood, is that water gets in all the little nooks and crannies on the outside of the house and it molds from the inside, so while you can’t see it, that doesn’t mean the mold isn’t there. That is what had apparently happened to this home. And we had these types of experiences over and over, home after home. Most homes we did not have inspected. We walked in the front door and walked right back out. For a period of time, we lived in Texas. Actually, we have been back and forth from Texas to Colorado a couple of times. Most recently, we lived in Texas. But one of my daughters and I both have allergies to mold, and we weren’t doing super well. Because we also have tremendous sensitivities to medicines, we weren’t really able to treat them effectively and found that over the course of the year that we were back in Texas, we really weren’t as productive and healthy as we had been when we lived here in Colorado. We decided as a family that we would make the move back to Colorado so that we could optimize our health and be as productive, happy, and healthy as possible. With our decision made, we notified family and friends of our intentions. We were, well, ostracized a bit for moving back to Colorado. Folks went so far as to call me “unstable” for moving to an area without a job. They asked why we didn’t just medicate, why we didn’t try a better diet, why we didn’t just stay inside all day, etc. 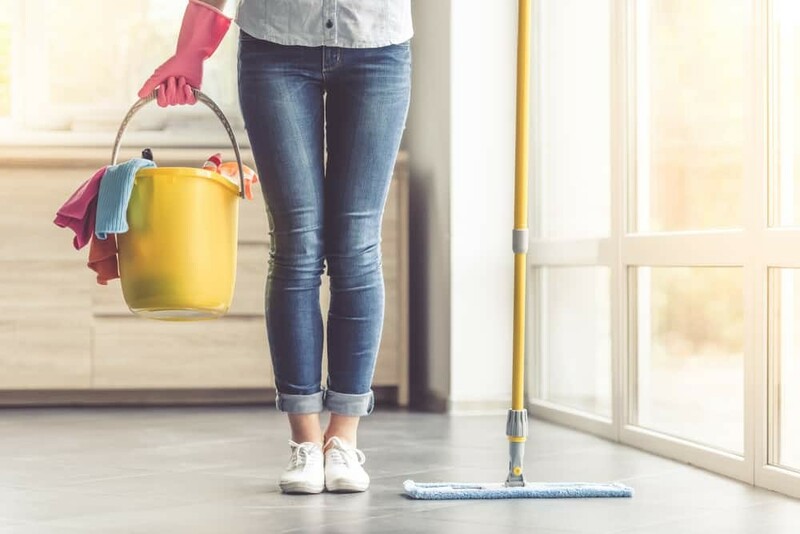 The mold isn’t just outside, it is also in most homes. We were not remotely healthy. They did not get a vote! Emphasis on this last point. When people feel like they need to share their opinions, or shall I say their judgments, it is super easy to feel judged and convicted of inadequacy. It takes tremendous fortitude to hang on and choose to go forward in what you know to be the best path for you, especially when you stand alone in understanding the impact something is having on you that NO ONE else is experiencing. I imagine in this context many of my decisions look a little nonsensical to others. We did have a few friends who stood by us and doled out some much-needed support. Super thankful for those folks, as again, choosing courses of action that others cannot understand comes with a bit of a price tag, even when you feel that you are making the right decision. Nine days, only nine days, after arriving in Colorado, my daughter’s allergist declared that she showed no sign of active allergic reaction. The power of a move. Further, in I guess what can only be called a God-thing, we left the Houston area about a week before Hurricane Harvey hit. I’ve had numerous calls since then telling me how fortunate we were to have left when we did. Yes, from some of those same folks who ridiculed and chastised us before the move. Huh. The feedback we got from people still in Houston was that even just to walk outside, you could smell the horrible odor of mold. I don’t think either my daughter or I could have handled living in such a mold-stricken environment. So here we are in Colorado. It’s so much easier for us to find a place to live here, and yet, mold does happen. We hunkered down at a hotel to start the school year and wait for our apartment to become available. One night I got an interesting call at the hotel letting me know that the complex was engaging in an emergency water shut-off to the building that housed our apartment. Needless to say, we arrived to an apartment with visible water damage and were not able to move in. Minus Hurricane Harvey, I think I would have strongly second-guessed our move by this point, but the calls of encouragement that we left just in time continued to boost our morale. It goes without saying, I hope, that we did not move across the country to move into a unit with water damage, and we actually later learned that several residents of the complex were being housed in a nearby hotel for guess what issue? Mold. I think when we think about the hypersensitivity of folks with autism we think about meltdowns, but these sensitivities don’t just affect the moment. They impact your ability to find a place to live, your lifestyle, the activities that you choose, and even the people with whom you associate. When, for example, 90% of all homes/residences available are out of your grasp because you’re so super-hypersensitive that you can’t live in them, it really changes your world. I know I avoid potential harmful environments because of this sensitivity, but seriously, it discourages me, and more so, those around me. As I mentioned above, I have suffered. Sometimes I suffered in the interest of keeping others happy. Total mistake! So what do you do when you are this sensitive? I see families frequently with these types of issues who have resigned themselves to just living how and where they are. In doing so, they really are choosing to suffer. I have to believe that they do not understand the difference of a different environment, diet, etc. I can get myself to a place where I feel healthy. It just takes work–work that is totally worth it. Sometimes life interferes, like our decision to move to Texas which we did for, we thought at the time, good reason, and then you have to again seek equilibrium. Allergies, even mold allergies, can be treated with antihistamines. While antihistamines help me with the headaches, they do not relieve the feelings of exhaustion and depression. We do have a member of the family who can’t take antihistamines, my daughter with the mold allergies. So even if I could have stayed in Texas, she could not have. How do I feel in Colorado versus Texas? No contest. I feel like a totally different, productive person in Colorado. Our family has tried numerous diets over the years: the Specific Carbohydrate Diet, GAPS, Paleo, etc. Our health improves on these diets and levels of hypersensitivity go down. Maintaining these diets, however, is expensive and difficult given our schedules. We are currently gluten-free. So there’s a place in Ohio–it’s a village of historic buildings. I love this place. One of the things I always really loved about it was that it was so peaceful, and I could be in any of the buildings and breathe. More than that really, I felt so comfortable in any of the buildings. I literally felt different, serene even. At any rate, we returned about a year ago and, for my daughter’s birthday we visited this village. While there, and I wasn’t feeling the same sense of peace that I had felt on previous occasions when I had been there. Saddened, I couldn’t figure out what was different. I knew I didn’t have that same calm, settled, content feeling. When I walked outside of the building, I heard a hum. I realized that they had added air-conditioning to the buildings. They had in the past kept them completely authentic, but at some point they had added air conditioning. I don’t know why they did that. I kind of guess that it’s because having cool air preserves the antiques. At the same time, I realized how sensitive I am to the noise of an air conditioner, to the feel of the air moving in the residence, to all of those different things that I so enjoyed NOT experiencing when I had visited before. This place is the closest I have ever found to the perfect place for me…or it was. Sigh. So while there is really no place I know of that is perfect, there are definitely environments that are better than others. Treating the environment is so much easier as a homeowner than as a renter. There are few changes you can make as a renter that will make an otherwise unhealthy environment healthy. That to say, there are some things. After a week or so, however, the smell would come back. We poured bleach down in the drain and got rid it. So we actually were able to change that particular environment to fit us. Treating the environment can be this simple, or it may involve ripping out walls, etc. Did I mention that we left Texas? Missed a hurricane? Refused to rent an apartment with water damage? Did so over the frustrations of those around us? So I talked a little about the difficulties people have understanding something they can’t experience. Experiencing their reactions which I can’t understand is equally difficult. “Don’t they want me to be happy and healthy?” I wonder. “Which people in my life support and respect my needs and which focus on their experience of the world? Who believes I should take care of myself in a way that makes me feel good versus taking care of myself in a way that makes them feel good?” I ask myself. Unfortunately, after asking myself these questions, just like I have had to leave environments due to my hypersensitivity, I have had to let go of some relationships. Some of these losses really hurt, but I cannot live my life with the discouragement that some people felt the need to pile on me. I have to focus on living counterculture when necessary to protect myself from the things to which I am hypersensitive. Inevitably, as difficult as it is for me to lose these people in my life, maintaining only healthy relationships has proven a huge benefit for me and serves to make even these difficult decisions easier. I think it’s so important to just take a minute to say again that hypersensitivity is real. It can be so painful. It’s not always fixable. Know that I understand that sometimes a “small” problem requires a “BIG” fix. Our move cost thousands of dollars and was worth every penny. While that decision is not for everyone, be conscious in your decision-making and choose the path that is right for you and your family. Know that I am hypersensitive (in a good way) to your hypersensitivity. 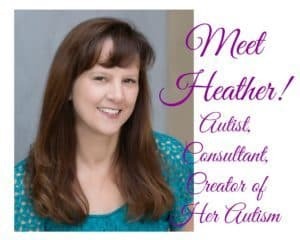 Live Life to the Fullest with Autism! 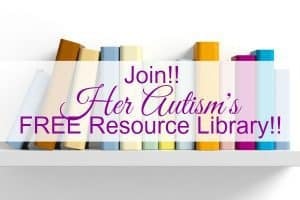 Check out our FREE Resource Library! !